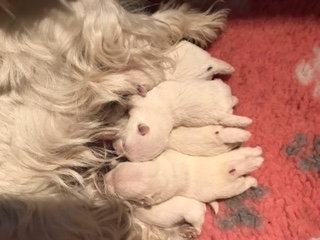 Puppies were born on July 29, 2018. Proud father and mother are Duvel and Fleur. 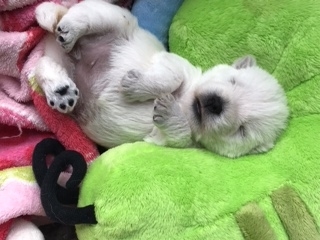 All puppies are reserved. 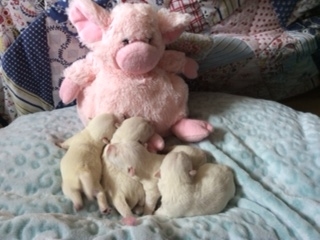 On April 23, 2018 Pizza got her first litter ... 1 male and 3 female dogs. 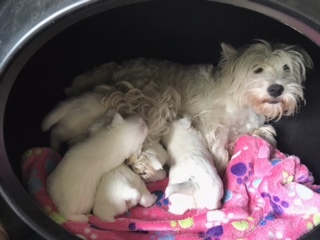 Pizza is an excellent mother and is very happy with her puppies.